Thank you very much for your prompt collection of damaged cylinder and delivery of replacement received this morning. Thank you Keith for an excellent service – and I mean that sincerely!! Keith in Berkshire – again! We are very proud of our customer service – please give us a try and we will endeavor to help you. Client running his Sabb in Greenland! See what our client has been up to in Greenland. 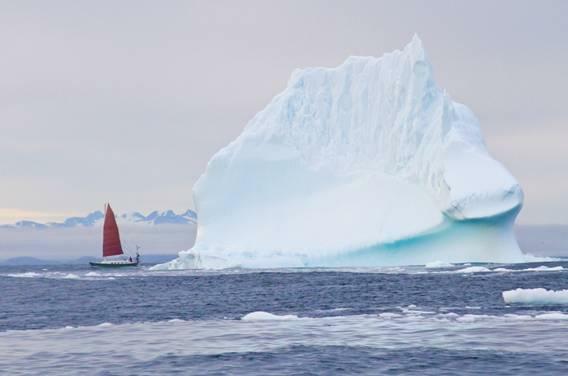 Thanks for all those spare parts for my old Sabb single cylinder 1976 motor ive been repairing in my little yacht… see attached pic, i have just sailed into Greenland 12 days at sea from Canada.. all is well, but ran into engine problems and hoped you could give me some quick advice.. So.. I was motoing along on a cold moring, started the engine fine, ran for 15 min to escape some small icebergs, and then the engine stopped. turns out it had run out of fuel completely, something I religeously try to avid with a detailed fuel log book, but after 10 days of delerium I must have slipped up. anyway, so poured in more fuel, drained the whole system.. and simply could not get the engine to start.. changed all the filters… then took other stuff appart, and in the end found that there wa water in the cylinder (because when I had the fuel injector off and cranked the motor by hand, water gushed up out of where the injector would mount into the top of the cylinder. so.. then cranked it by hand a lot of with the decompression lever open and injector off etc to try to drive out all possible water, changed sump oil (had water in it) etc etc, and then eventually mamaned to get it started but ONLY if I disconnect the hose that links the cooling water from where it exits the water-jacketed silencer and feeds into the exhaust stream.. when I pulled off that hose before I managed to start the engine, the (raw) cooling water was under pressure for some reason and errupted out of that hose and drained, and then if I left that hose open, I can EVENTUALLY get the engine to start and after it’s running I can reconnect the hose and all is well… but.. weird? It’s alsmost as if there is a blockage where the cooling water injects into the exhaust, but when I disconnect the hose as escribed and tart the engine, exhaust gasses have no problem billowing out through the fitting where the hose is supposed to attach, so it can’t be blocked? Why might it be under pressure, and why would the engine be sucking water back into the cylinder? Some ppl here are suggesting my head gasket may have failed internally and is letting cooling water flow into the cylinder directly through the gasket which would explain why it is so damn hard to start? (starter motor failed also a week ago, so ive been hand starting, which used to be easy but now it’s an inhuman effort to keep cranking the dngine for perhaps 10-20 seconds even after decormpression lever is closed! I think I have a head gasket i bought from you and may do this, if you think it sounds like a reasonable cause? Please do not hesitate in trying us for all your Diesel Spare Part needs: Lister Petter, Kubota, Lombardini, Perkins, FG Wilson, Sabb, John Deere, Yanmar, Kohler, Cummins, Caterpillar, Atlas Copco, Deutz, Bukh and many more. Last week we sent some generators to a good client of ours in the Middle East, take a look! We sell FG Wilson, Lister Petter, Cummins and many other brands of generators, give us a try. 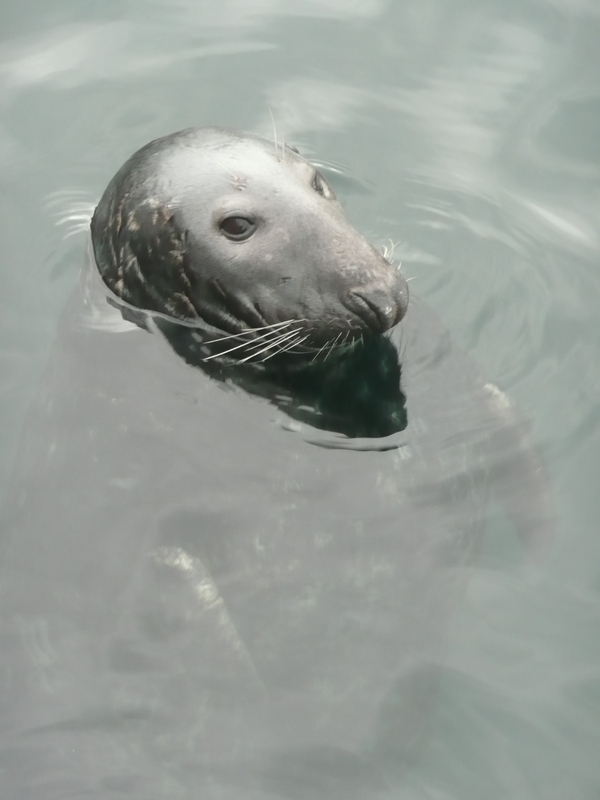 On Sunday we took the rib out to make the most of the sunny weather and we were treated to a sighting of the seal, he was eating the mackeral the fishermen had caught. Too lazy to catch his own!!! I have just come back from a couple of days away with my beautiful wife (I have to say that in case she reads it) we drove down to Port Isaac where Doc Martin is filmed and had a wonderful crab and prawn sandwich, we couldn’t believe haw busy it is. We then went and had a look around the new Scarlet Hotel which is very eco friendly, which seems to mean weeds growing on the roof!!! 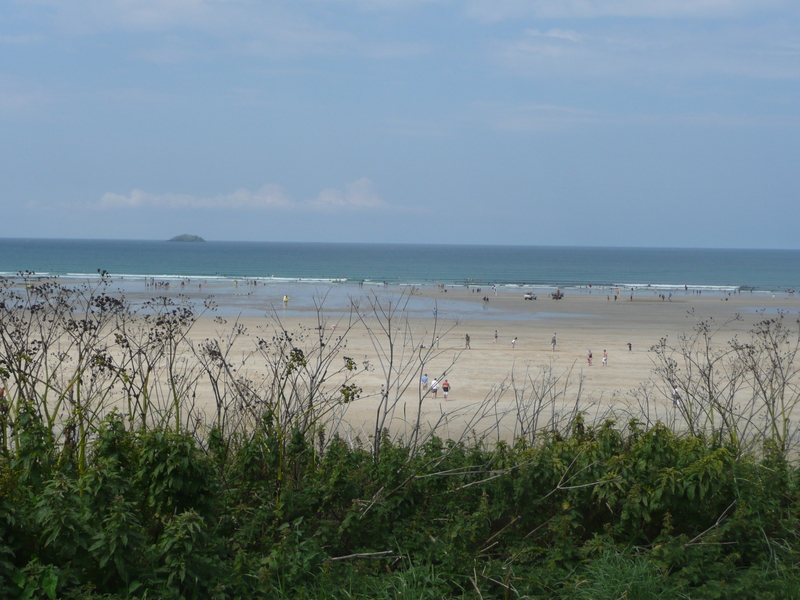 It is a lovely hotel with fantastic views. Got up this morning had a fantastic breakfast and then straight back to work. 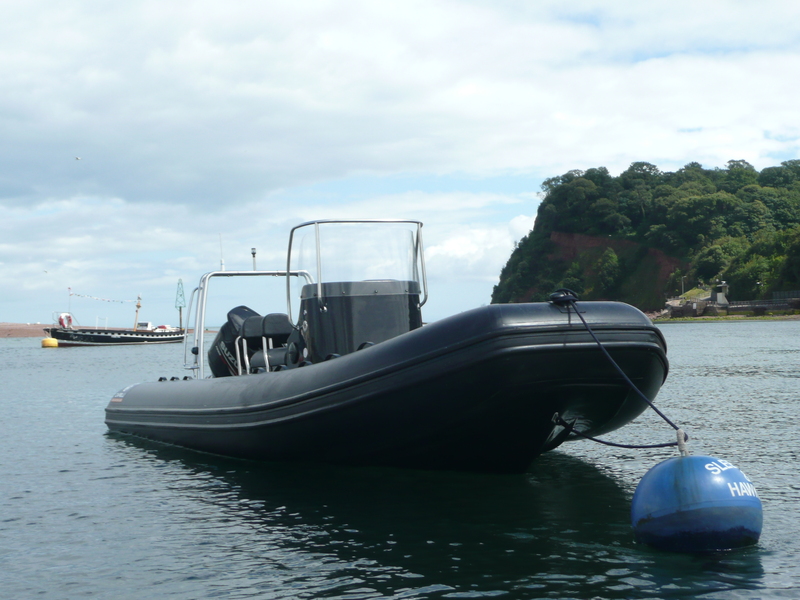 This boat is so much fun and great for water skiing, or donuting etc, come and test drive it, the kids will love you!!! 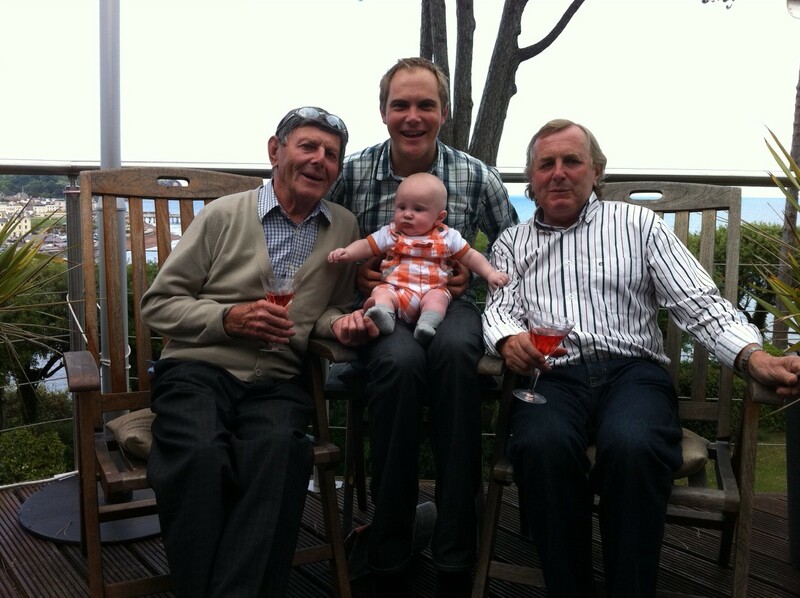 For Fathers Day I had my father, son, Sean who works with me in the office, and grandson round for a BBQ. Luckily the sun shone for us and we were able to sit outside. I had a useful gift of some golf balls and a new desktidy! !